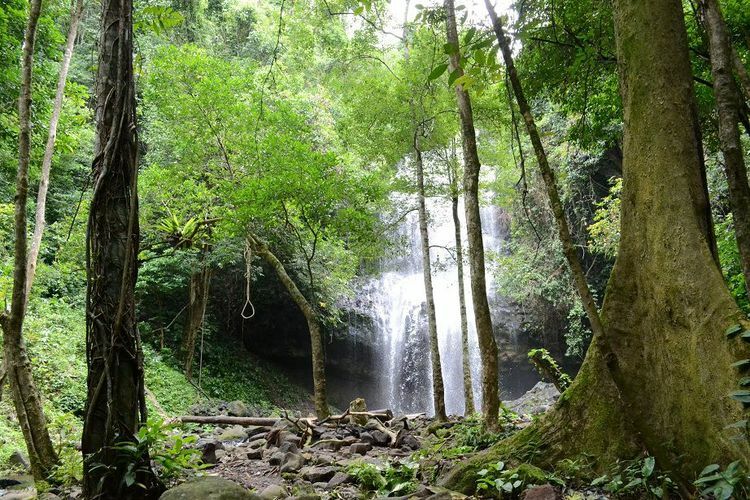 Ta Dung (Tà Đùng) is a conservation area of 22.103 hectares, located in Dak Plao (Đắk Plao) and Dak Som (Đắk Som) communes, Dak Glong district (huyện Đắk Glong), Dak Nong province (tỉnh Đắk Nông), about 45 kilometers far from Gia Nghia town (thị xã Gia Nghĩa). Ta Dung has been a popular tourist destination since 2016 and considered to be “Ha Long Bay” of Tay Nguyen (Tây Nguyên) with its rich and diverse ecosystems, and poetic landscape. Before discovering the attractions in Ta Dung, let’s see how to get to this destination. I. How To Get To Ta Dung? From Ho Chi Minh City, there are two ways to get to Ta Dung. You can either choose to drive your car or ride a motorbike. However, travel lovers recommend going by motorbike to enjoy fresh air and beautiful scenery of the highlands fully. 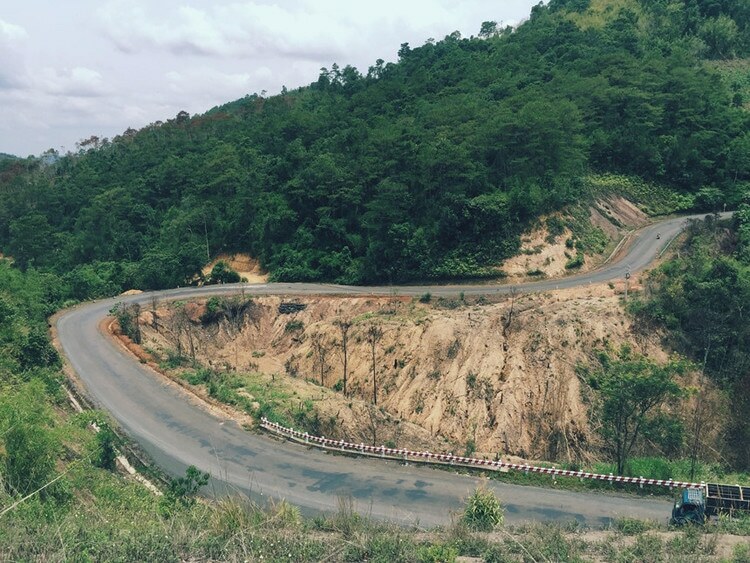 National Highway 14 (QL14 – Quốc lộ 14) is the starting point of the first way to get to Ta Dung. Follow QL14 toward Dak Nong, then continue going on National Highway 28 (QL28 – Quốc lộ 28) after reaching Gia Nghia town, you will pass through the territory of Quang Khe district (huyện Quảng Khê) before finishing the journey at Ta Dung. The second way is to go along National Highway 20 (QL20 – Quốc lộ 20) to Di Linh district (huyện Di Linh) at the beginning. After that, you also need to follow the route of QL28 like the first way. II. Where To Stay And What To Eat In Ta Dung? Anyone planning to spend the weekend at Ta Dung must have heard about Tadung Topiew Homestay, also call “uncle Dong’s house” (nhà chú Đông), the best-loved homestay in Ta Dung for travelers. The homestay only has 5 double rooms, but all of them are fully equipped and possess a very favorable view. You can also find a swimming pools, diners, and coffee shops there. If you want to rent a room for a few hours, the price for the first hour is 150.000 VND and 50.000 VND for every next hour. If you want to stay overnight, then the price is 700.000 VND/night, including the cost of in-day meals. Because of the limitation in the number of rooms, you should book in advance to make sure there is an available one before coming. The contact number of the homestay owner is 0973500232. Besides having meals in the homestay, people who like to explore may visit some restaurants in Gia Nghia town and try Tay Nguyen’s specialties such as grilled chicken (gà nướng), sticky rice cooked in bamboo tubes (cơm lam), stir-fried tripe with grilled bamboo (măng nướng xào vếch bò), red vermicelli (bún đỏ), hotpot with forest leaves (lẩu lá rừng), and stem wine (rượu cần). III. What Are Attractions In Ta Dung? Contemplating Ta Dung lake (hồ Tà Đùng) from above, you will be overwhelmed by the majestic of nature with around 40 oases of all sizes scattered. From August to December, the lake appears most beautifully. During this period, the lake water rises, which combines with moderate rainfall making trees on the oases become lush and green. You can rent a small junk to immerse yourself in the peaceful feeling while surfing on the lake. Around the conservation area are multi-ethnic villages, including the Ma (người Mạ), the Kinh (người Kinh), and the Mong (người Mông) who live mainly on coffee and fishing. Thence, you will see on the lake bed lots of floating rafts of fishing families. One thing you cannot miss when staying in Ta Dung is to sit still, sip some coffee, and wait for the aurora and afterglow. The magnificent scenery along with the breeze atmosphere in the dawn and twilight really soothe people’s mind after all worries of life. One of the beautiful attractions in Ta Dung is Lieng Nung waterfall (thác Liêng Nung). This waterfall is in Dak Nia commune (xã Đắk Nia) of Gia Nghia town and is 37 kilometers away from Tadung Topview Homestay. This is the must-go spot in Dak Nong that you can stop by on your way to Ta Dung lake. You should be careful approaching the waterfall because you will have to walk more or less 1 kilometer on the narrow, steep, and slippery road before being imposed by the grand nature. Lieng Nung waterfall owns a very special structure. It is a 30-meter cliff protruding on a huge cave, and from the top, water flows down the Dak Nia stream below. The cave ceiling is formed by the hexagonal stone blocks arranged adjacent to each other like a giant honeycomb. Inside the cave is lively and eye-catching vegetation, which is unfortunately difficult to access due to the ground condition. The waterfall still maintains its original pristine since there is not much tourism exploitation. Therefore, do not take away anything but photos, and also do not leave behind anything but footprints. Dong Nai 3 hydropower plant (nhà máy thuỷ điện Đồng Nai 3) is a hydroelectric project built on Dong Nai river, in the land of Dak Plao commune. This is the 4th hydroelectric staircase from the upstream of Dong Nai river, in addition to Da Nhim (Đa Nhim), Dai Ninh (Đại Ninh), and Dong Nai 2 (Đồng Nai 2) hydropower plants. 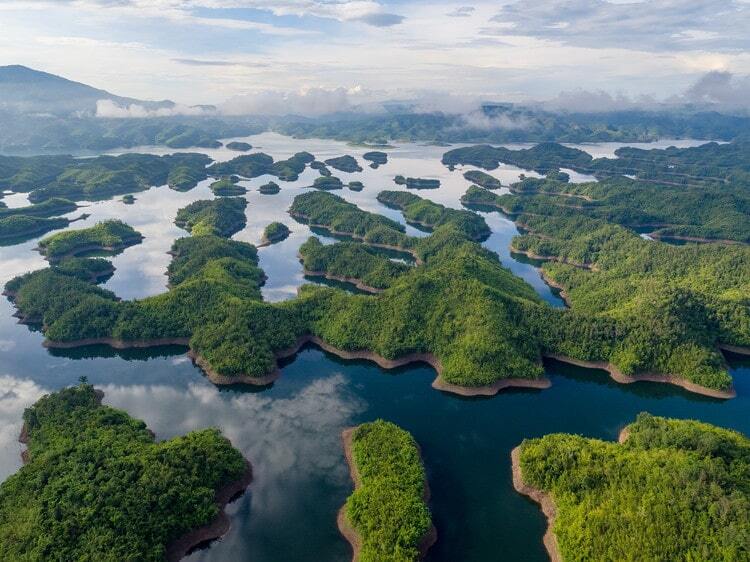 Surprisingly, the reservoir of this hydropower plant is Ta Dung lake, which means you can easily move back and forth between the two places during the day for sightseeing. Ta Dung wears a pure beauty despite the passage of time. If you are looking for an attraction that gives you peace and freshness, Ta Dung is a wise choice. We hope this article will somehow help you to have a smooth and comfortable trip. Do not hesitate to question or share with us your experience about the article “Attractions in Ta Dung”, and visit our vina page for more information about other places to visit in Vietnam.